The World Cup 2019 is all set to kick off on the 30th of May 2019, with England and Wales being the hosts. The matches will be played in a round-robin format where each team plays against each other. With less than 90 days remaining for the World Cup, every team is focused on finalizing its 15 member squad. The Indian team too is in a state of confusion; most of the squad members are already confirmed, but there are a few spots still up for grabs. There is intense competition amongst the players who are eager to confirm their berth for the biggest cricket carnival. And Ravindra Jadeja is one of those players. Jadeja is one of the best all-rounders India has ever produced. He is very accurate with his bowling and produces crucial wickets in the middle overs. He also goes through his overs very quickly, giving minimal time for the batsmen to settle. Also, with his batting skills, Jadeja provides depth to the batting order. He is capable of scoring quick runs in the death overs. There have been several instances in the past where he has played match-winning knocks for the team. Jadeja is arguably the best fielder in the current Indian team. He is very athletic on the field. As we all know, fielding is crucial when it comes to winning. "Catches win matches", and good fielding saves precious runs which builds pressure on the batsmen, eventually resulting in a wicket. Jadeja is known for executing brilliant run outs, and is also a very safe and agile catcher. Jadeja's performance in English conditions has been exemplary. He was the highest wicket-taker in the 2013 ICC Champions Trophy in which India emerged victorious. Jadeja took 12 wickets in that tournament with an average of 12.83 and economy rate of 3.75, and also made useful contributions with the bat. This year's tournament will be played in a round-robin format. Every team will play 9 matches before the knockout stage. It will be very important for the team management to manage the workload of the players. Jadeja's presence in the squad will give that option of an all-rounder to the management and help maintain the balance of the team. 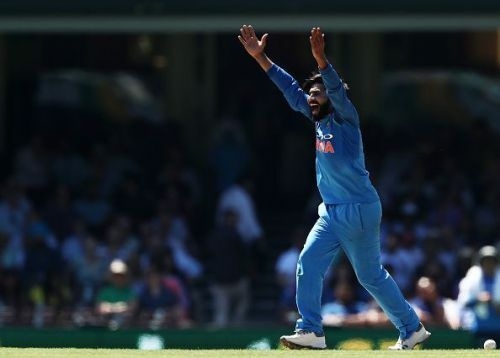 Given the skill sets required and the demands of the situation, Jadeja will be a perfect fit in India's ICC World Cup 2019 squad.